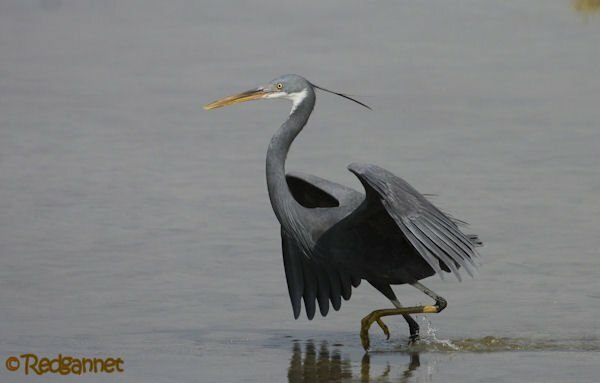 The Western Reef-Heron, Egretta gularis, sits neatly between Little Egret and Snowy Egret in Clements taxanomic checklist. 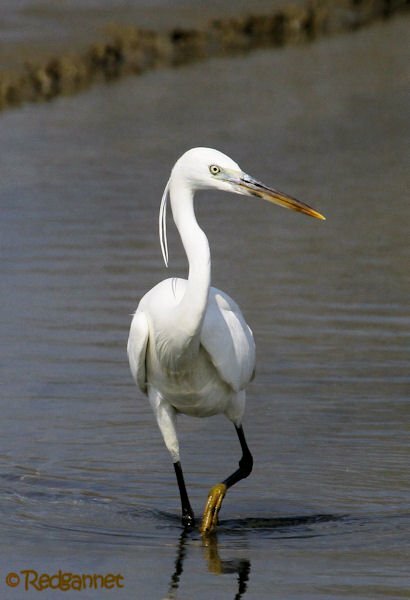 The slim, elegant, white egrets are very similar and operate in similar niches, but in opposite hemispheres. 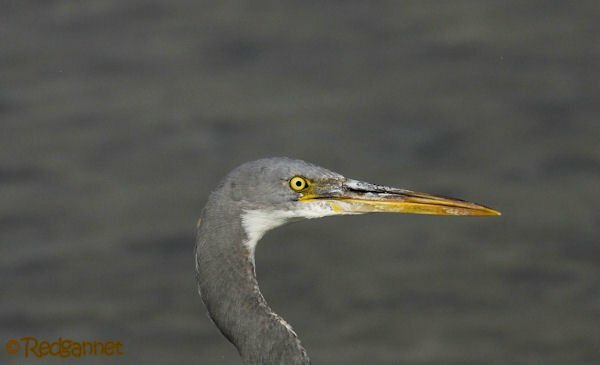 The Reef-Heron is chunkier and di-morphic, so it was unexpected to find it separating the two close cousins. There is a dark and light morph. 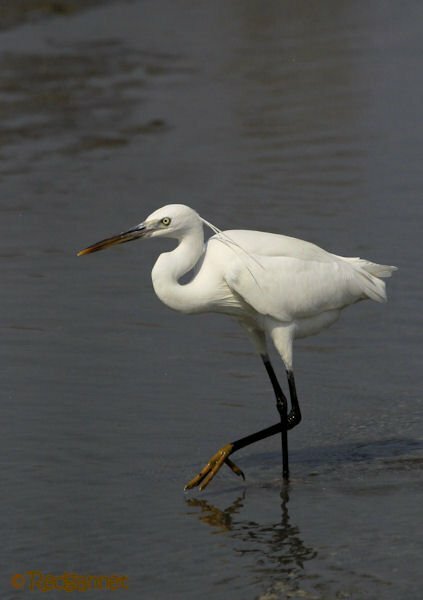 The dark variant is a slaty grey, while the light morph is white, far more in keeping with our perceived ideas of an egret. 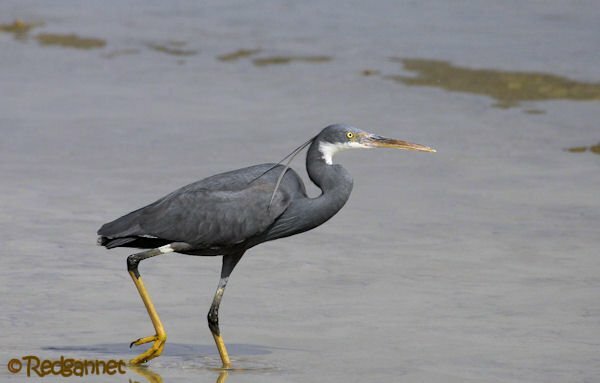 There are more similarities easily seen by the casual observer; the Reef-Heron also sports two head plumes and their feet contrast dramatically with their darker legs. Note however that the yellow often strays further up the leg. 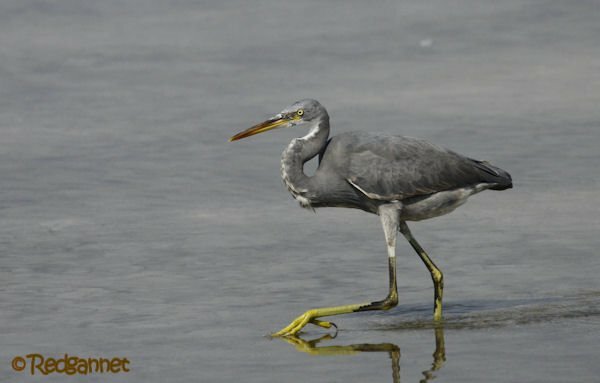 When the feet are not visible, or the lower legs are obscured by mud, the heftier bill with varying degrees of yellow and a slight droop makes the distinction. They are found exclusively in the eastern hemisphere with a strong presence in Africa and the Middle East. There are two subspecies, E.g.gularis (western) and E.g.schistacea (eastern) and this post features the eastern ssp. with photographs taken at Ra’s Al Khor Sanctuary in Dubai, UAE. 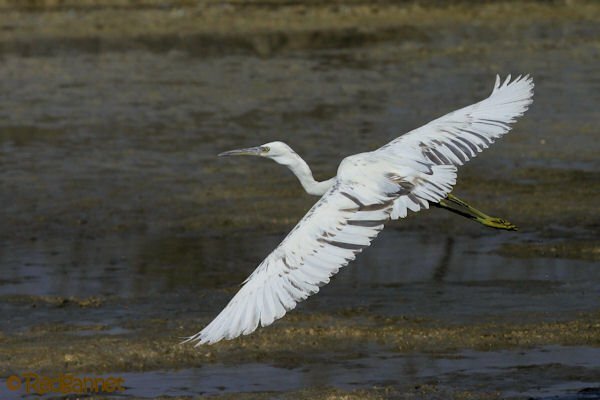 The juvenile of the light morph shows dusky feathers across its entire body which makes it easy to separate from the slimmer Little Egret if there is none with which to make the comparison. The juvenile of the dark morph has more white on the underside and front of neck. There are also intergrades. From what I saw today they will gather in reasonable numbers, but are not very tolerant at close quarters. Squabbles and skirmishes broke out frequently, but were over quickly as one backed down and moved out of range. So glad to have met you today at Elm Fork! You made it a memorable day there for me, as I saw at least five times the birds I would have normally seen. I’m re-inspired to take my binoculars with me! Thank you!